Before and after photos and video testimonials from patients who have chosen the QuickLift Facelift procedure can be viewed at HYPERLINK “http://www.quickliftmd.com&#8221; http://www.quickliftmd.com. To schedule a consultation with Dr. Martin or Dr. Barber, or for more information, call (The Martin Center at (800)-321-LIFT. Dr. Stephen Martin has been in practice for more than 20 years and is board certified by the American Board of Otolaryngology and the American Board of Facial Plastic and Reconstructive Surgery. He is a member of the National Board of Medical Examiners, American Academy of Facial Plastic Reconstructive Surgery, and the American Academy of Otolaryngology, Head and Neck Surgery. Upon graduating from East Tennessee State University College of Medicine in 1985, Dr. Martin began his surgical training at Emory University in Atlanta, Georgia which included a one year internship in general surgery. His general surgery internship was followed by four additional years of specialty training in head and neck surgery including cosmetic facial surgery, facial trauma, cancer and functional surgery of the face and neck areas. Developing a keen interest in facial plastic surgery, Dr. Martin concluded his formal training with a fellowship through the American Academy of Facial Plastic and Reconstructive Surgery. Voted Best Cosmetic Surgeon by Mobile Press Reader’s Choice for six consecutive years, Dr. Martin is considered a leader in the field of skin rejuvenation and cosmetic facial plastic surgery. He has served as a trainer for other physicians in proper injection techniques and applications for wrinkle relaxing treatments, injectable fillers and laser skin rejuvenating treatments. Since performing his first facial plastic surgery in 1987, he has personally performed thousands of facial plastic and reconstructive surgical procedures and now offers the QuickLift® face lift to his clients interested in a minimal recovery facelift procedure. 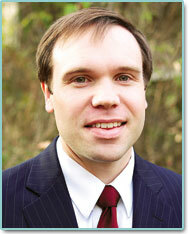 Dr. Henry Barber is board certified in Otolaryngology — Head and Neck Surgery. Having completed six years of training in head and neck surgery and facial plastic surgery including fellowship training in both facial plastic surgery and hair restoration surgery, Dr. Barber offers a wide range of treatment options to his patients looking for a more rejuvenated, youthful appearance. After graduating from medical school, Dr. Barber began his training with a surgical internship at Wake Forest University. Inspired by his training, he went on to complete his residency in Otolaryngology–Head and Neck surgery at the University of Mississippi and then a fellowship in Birmingham covering both facial plastic surgery and hair restoration techniques. 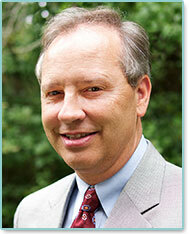 Dr. Barber is currently a member of the International Society of Hair Restoration Surgery. The QuickLift®, developed by Dominic Brandy, MD and performed by doctors across the country who have been personally trained by him, is an improved version of the S-Lift. Unlike procedures with similar names that tighten only skin, the QuickLift suspends the underlying structures of the lower face (SMAS). The QuickLift provides an overall lower- to mid- facelift and improves the appearance of the upper neck, offering significant age-diminishing effects with minimal downtime and lasting results. For more information, visit HYPERLINK “http://www.quickliftmd.com&#8221; http://www.quickliftmd.com.